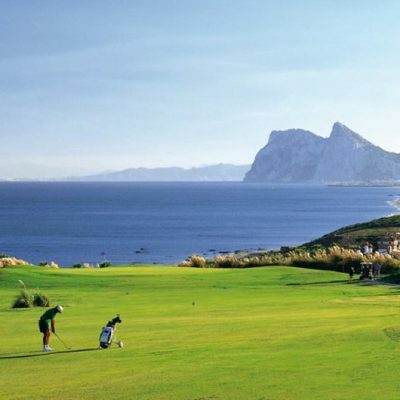 The Alcaidesa golf resort is located at the western end of the Costa del Sol and is well known for its stunning views of the Rock of Gibraltar, the Mediterranean sea and the Atlas Mountains of North Africa. 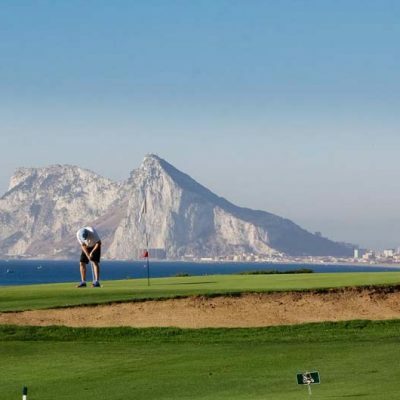 The upmarket golf resort is home to two courses, the most popular being the renowned links course and the newer Heathland course. Both are very different in layout and design, hence the resort offers a nice blend of course to suit most players tastes. 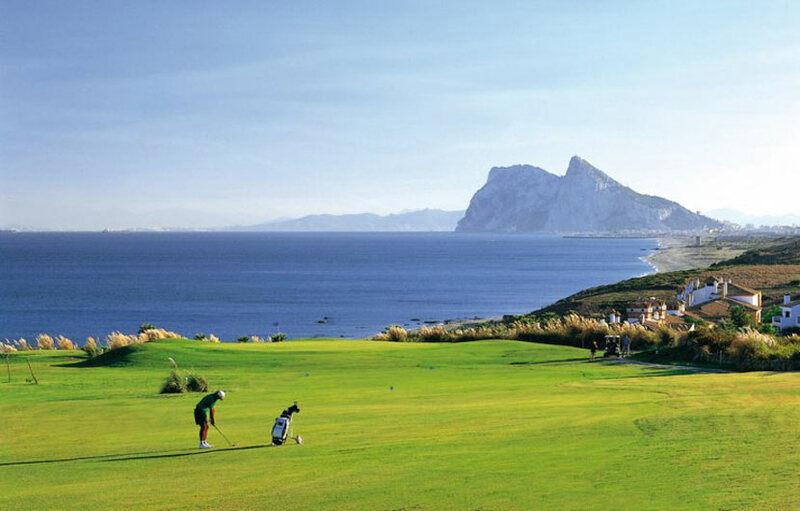 This classic Links-type course, has been Alcaidesa’s flagship since 1992 and is the most popular due mainly to its magnificent location with spectacular views over the sea and Gibraltar. A major face lift was carried out on the links course in 1999 which improved the overall playing experience. Specially relevant was the work carried out on the fairways and greens which where leveled off. 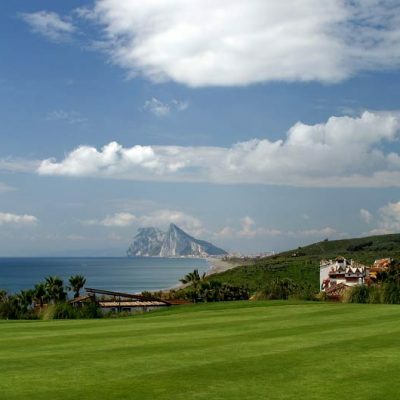 This championship links course has been the venue for a number of major golf tournaments in the past including two Andalucian PGA tournaments, one Spanish PGA Tournament and the Ryder Cup Junior Match vs Europe in 1997. The new Heathland course was opened in 2007 and makes the most of the gently undulating landscape and typical olive groves and vegetation of the area. 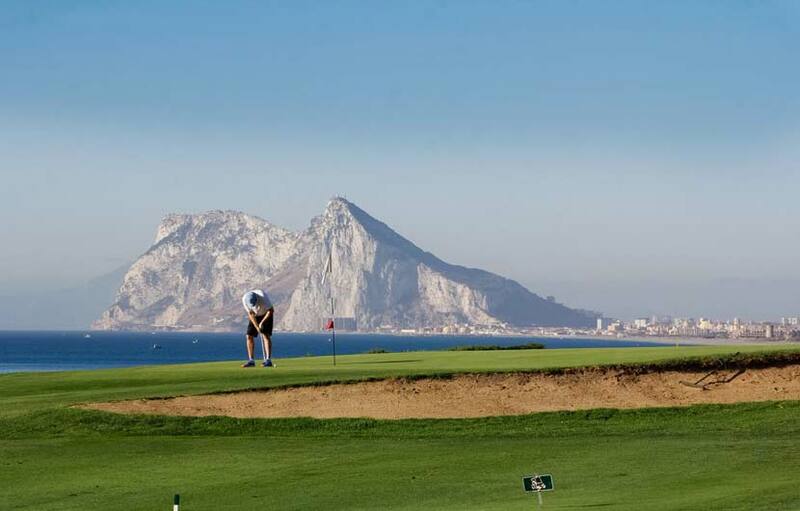 The Heathland course was designed by Dave Thomas and offers wide fairways and is is blessed with stunning views. Some of the holes meander along the river valley which has been used to incorporate various water features and hazards. 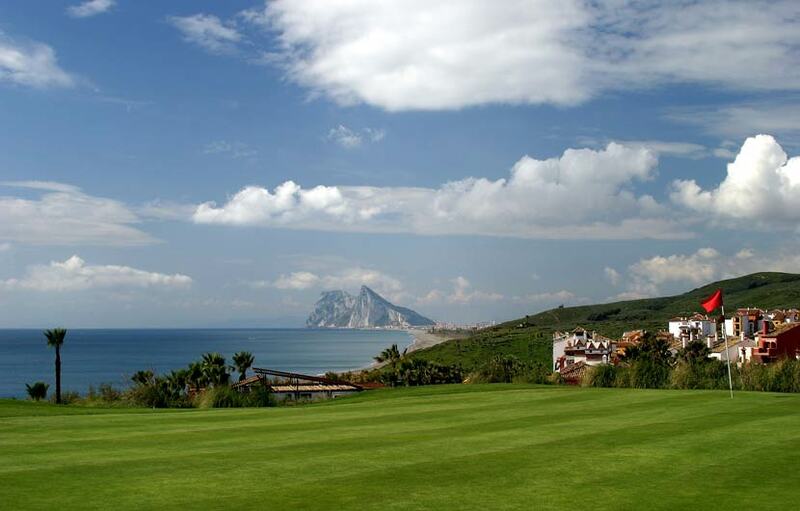 There is a impressive new club house which houses an excellent pro shop, restaurant and terrace area and comfortable well equipped changing rooms. The restaurant and bar area offers a picturesque sun terrace, perfect to enjoy an after round drink or meal.